“DL-PFC serves as the highest cortical area responsible for motor planning, organization, and regulation. It plays an important role in the integration of sensory and mnemonic information and the regulation of intellectual function and action. It is also involved in working memory. However, DL-PFC is not exclusively responsible for the executive functions. All complex mental activity requires the additional cortical and subcortical circuits with which the DL-PFC is connected. 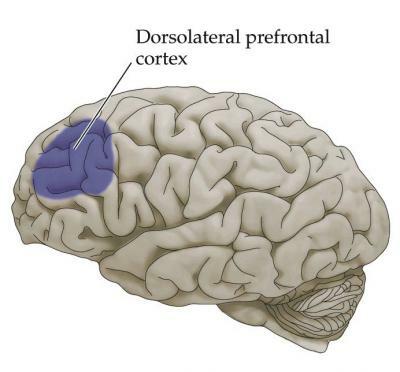 Academic Child Psychiatry, and Laura Tully PhD, in particular, is trying to understand how social skills work on a neuroanatomical level, and in light of that, all roads point to the importance of a well-functioning dorsolateral prefrontal cortex (DLPFC). When this part of the brain works well, people can plan, anticipate, organize, empathize and thereby make good judgments, socially and otherwise. These findings deepen my appreciation for genetics, and how much of behavior, and positive outcomes, are based on DNA. Unempathic parents can disorganize a good brain, a good child, but empathic parents cannot replace a defective DLPFC. In other words, I think of the nature/nurture argument, as often supported by Steven Pinker PhD at Harvard, that growth is pre-determined, but malnutrition can change the outcome. A good diet cannot make someone taller, but a bad diet can make them shorter. So too with behavior. Good parenting does not always create “good” kids, but “bad” parenting can hurt “good” kids. The basic ingredient, a good DLPFC, is essential for life success. It is almost impossible to compensate for a defect in the DLPFC, as seen by people with head trauma resulting in damage to this area. Understanding the need for good brain functioning, helps parents of children with mental handicaps understand their limitations, as parents. Likewise, parents of children who do have good brain functioning, need to understand that their main job is “not to screw it up,” as I like to say. Nature and nurture go together, but understanding how this dynamic plays out, is essential to promoting the best development possible. This blog is part of my series on the genetics of human behavior. Family values and genetics continue to be woven together as is seen in the study of the biology of faithfulness. Fewer than five percent of mammal species are habitually monogamous. Prairie voles are monogamous. They groom each other, nest with one another, collaborate to guard their territory and are affectionate and attentive parents. In contrast, their relatives, the meadow voles, prefer a solitary promiscuous existence. These behavioral differences have been linked to the hormone vasopressin and the protein molecule that acts as its receptor. More vasopressin receptors seems to be correlated with a greater pleasure from monogamy. Zoe Donaldson and her colleagues at Emory University in Atlanta, Georgia are altering the genetic make-up of prairie voles to prove the point. They describe their work in the December, 2009 issue of Biology of Reproduction. They predict that some of the offspring of these genetically new prairie voles will enjoy promiscuity. Hasse Walum and colleagues at the Karolinska Institute, Stockholm, looked at a protein in the body which responds to vasopressin. The scientists looked at DNA of monozygotic twins that flanks the vasopressin receptor. The researchers compared the genes in that area to men’s scores on the Partner Bonding Scale, which is designed to estimate the strength of a person’s attachment to his or her spouse or partner. They found that men with one version of the gene-called the “334” version-had low scores and were less likely to be married. The wives of those who were married were less satisfied with their marriage than women whose husbands did not have that genetic variant. The report in the Proceedings of the National Academy of Sciences stated that those with two copies of the gene were twice as likely to report having had a marital crisis in the past year. This research opens the door to medication to treat infidelity. 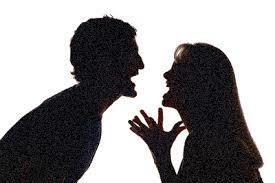 If we improve the reward of vasopressin, then we increase the likelihood of faithful marriages. It also changes the valence of fidelity. If infidelity is a genetic variant, should physicians treat it like hypertension or diabetes? On the other hand, perhaps the infidelity gene is closely linked to the charisma gene, and as such, it is part of the package of seduction. My interest in the divorce gene stems from my curiosity in the explosion of research informing us that the underpinnings of human behavior, once thought to be in the domain of family and culture, is now understood to also be a result of one’s DNA. As I see many of my female patients engage in the dating world, I see that many of them say things like “he seems like the faithful type”. My hunch is that they are trying to decode the DNA of their partner. Studies in prairie voles confirms my sense that we are all wired differently, and hence we come into the world with a different interface. That is, we all seek pleasure in different ways, since we all have different pleasure centers in our brain. Clearly, culture and family play a large role as well. The exciting part is that there is more to it than previously thought. Perhaps we could sum it up this way: monogamy, one part family values, one part vasopressin responsiveness.